Below is the online edition of In the Beginning: Compelling Evidence for Creation and the Flood, by Dr. Walt Brown. Copyright © Center for Scientific Creation. All rights reserved. Click here to order the hardbound 8th edition (2008) and other materials. 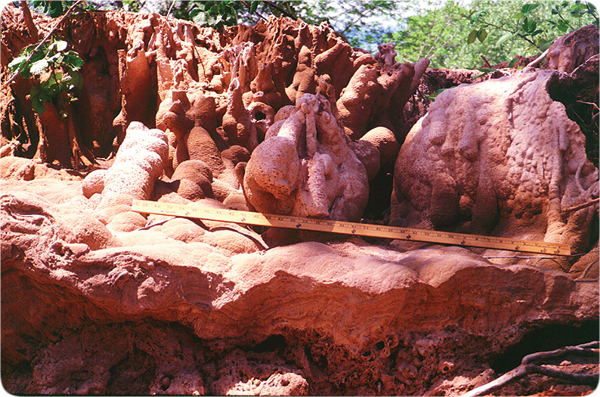 Figure 29: Stalagmites. Water from an underground spring was channeled to this spot on a river bank for only one year. In that time, limestone built up around sticks lying on the bank. Limestone deposits can form rapidly if the groundwater’s chemistry is favorable. Just because stalactites and stalagmites are growing slowly today does not mean they must be millions of years old. As we will see in Part II, conditions after the flood provided the ideal chemistry for rapidly forming such features.